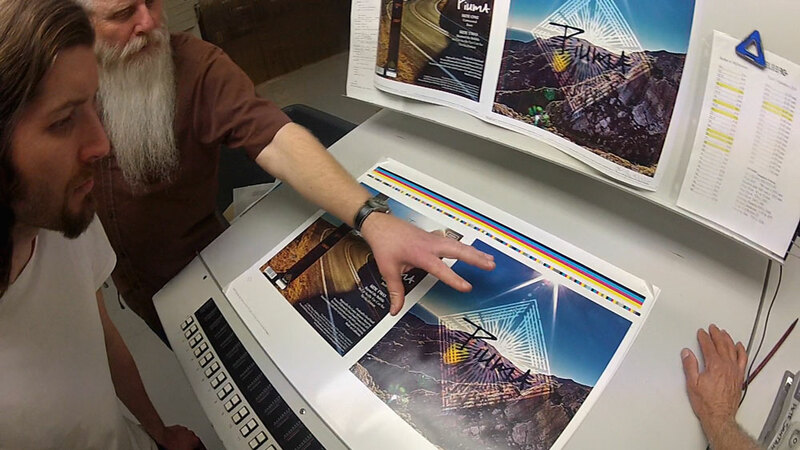 Watch the manufacturing process of Piuma on vinyl along with trees being planted in the Angeles National Forest, making the album carbon positive. This first step was to source renewable energy to power the recording studio. To record and produce the record, I was able to convert my recording studio’s power to 100% green energy through the Los Angeles Department of Water and Power (LADWP) – Green Program. It costs three cents more per kilowatt, but all the power is now sourced from renewable energy. I did a ton of research to find the best vinyl manufacturers in Southern California—that create both the highest quality products and are also eco-minded. Every vendor (Stoughton Printing, Infrasonic Sound, Dorado Record Packaging, Record Technology, Inc., and Groovehouse Records) made a donation to plant a tree to offset their power used to manufacture the album. Carbon offsetting can get complicated when researching online, but to me it can be boiled down to a few simple questions: What non-profit's program takes carbon out of the atmosphere, in a concrete way? Planting trees. Then the next question was: What organization is most effective at planting trees (and ideally is also local so I can volunteer to help)? The answer was definitively TreePeople. 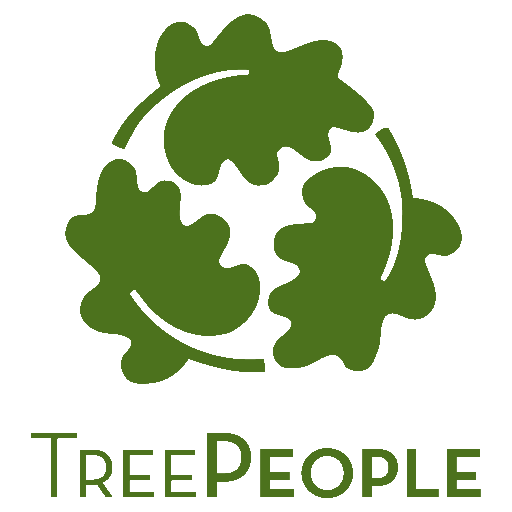 For 42 years now, TreePeople have been planting over 2 million trees throughout Los Angeles, beautifying the landscape and bettering the environment.1 Each $25 donation goes towards planting and maintaining a tree, as well as educating volunteers about the process. 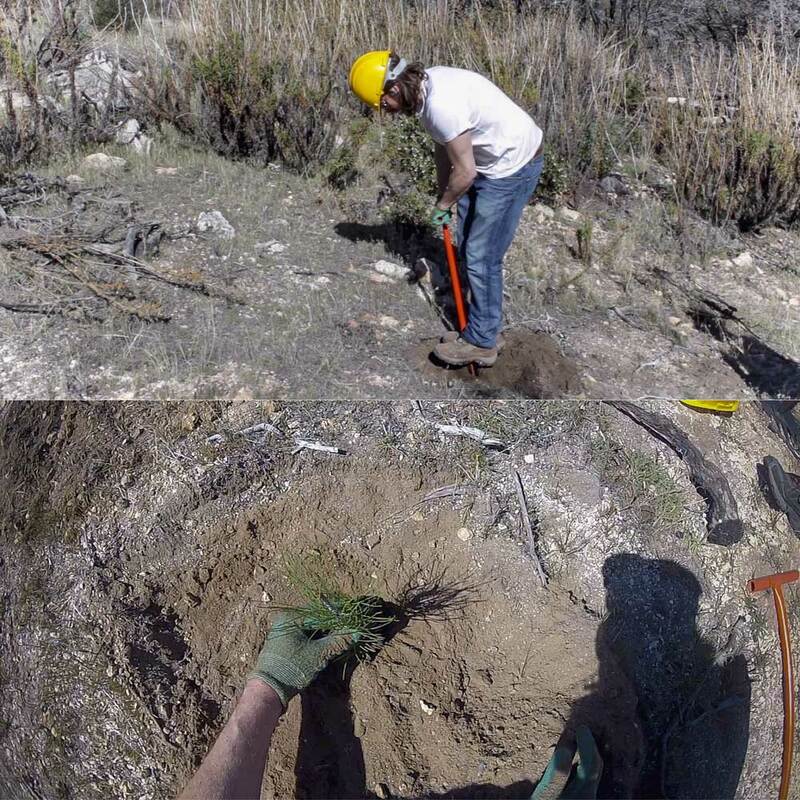 I volunteered with a few friends and 45 other volunteers, led by TreePeople's arbor expert Thierry Rivard, to plant 290 Coulter Pines and Big Cone Douglas Fir in the Angeles National Forest reforestation project. 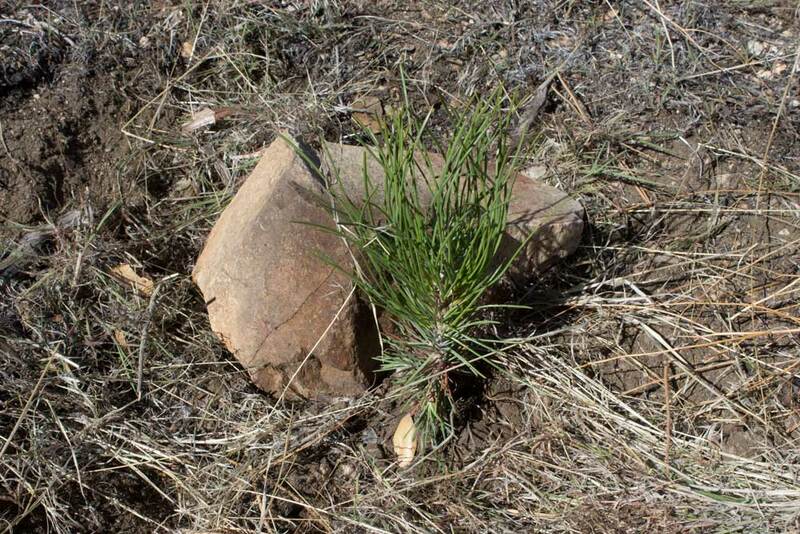 The first tree I planted. 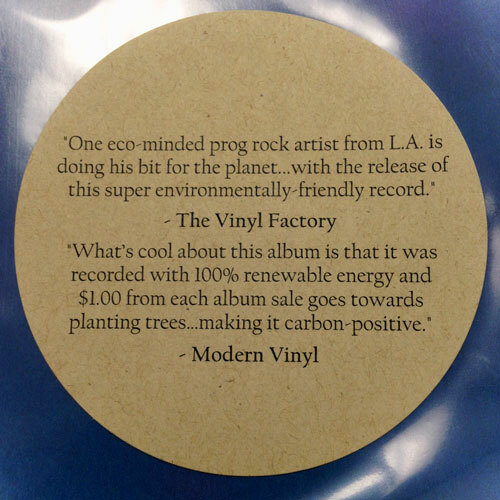 After making the album carbon neutral, I asked myself why not push it a step further and let customers and fans be part of the process—where they are able to make the album carbon positive with each record they purchase? So I decided to donate $1.00 from each album sale to plant additional trees. TreePeople estimates that each tree they plant will remove up to 10,000 lbs of carbon throughout its lifetime—and each $25 donation, plants a tree.1 The limited edition vinyl pressing (of 500 records) should remove 200,000 lbs of carbon from the atmosphere. And the limited run of 1,000 compact discs will remove 400,000 lbs. And digital sales will only go up from there, since we power our website through a green hosting company. In total, when the physical records sell out, we will be carbon positive by 600,000 lbs. 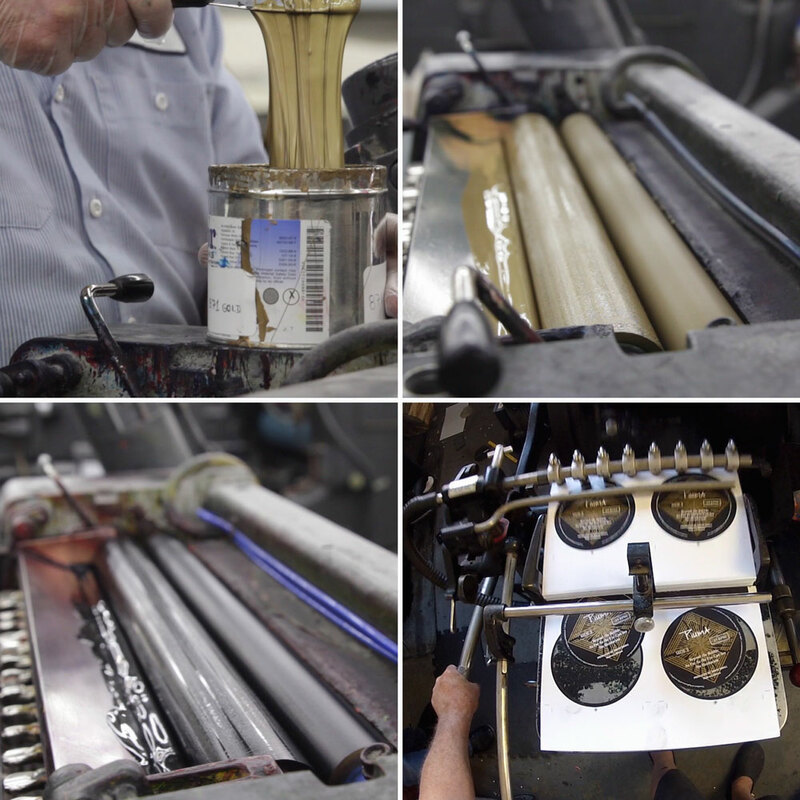 The record jackets and inner sleeves were pressed at Stoughton Printing in the City of Industry, California. Stoughton Printing has been pioneering eco-friendly techniques for decades and prints some of the top selling records today (when Piuma was being printed, Jack White's Lazaretto and the Led Zeppelin Mothership box set were also on the presses). The Piuma record jackets were pressed on a beautiful art print lithograph made from renewable paper specially sourced from tree farms, that plant trees as a crop. The art print is then wrapped around a 100% recycled board, creating their trademarked “Old Style Tip-On Jackets” which have a one-of-a-kind vintage look. The inner sleeves were then printed on 100% recycled paper. 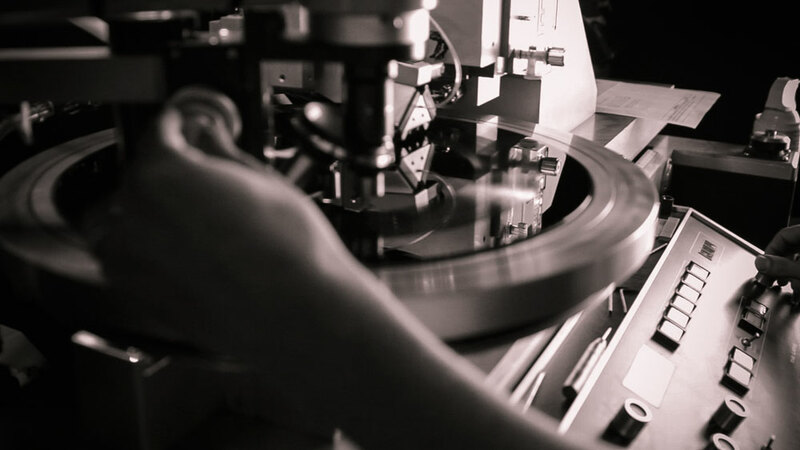 There are many product options for vinyl, which is what makes each record unique and can bring album artwork to life, furthering the music experience. Since Piuma is a concept album, it was important to include the lyrics in the printing process. And since records come with inner sleeves to protect the audio disc inside the jacket (at no extra cost at the pressing plant), that space could be utilized for the lyrics—as opposed to creating a single disc gatefold, or a lyric sheet insert. So I opted to print high quality inner sleeves at Stoughton Printing, replacing the standard ones from the pressing plant, and cutting down on extra paper. I think a key strategy in creating an eco-friendly product, is to find multiple function opportunities. I also wanted to include an exclusive bonus download code to fans who purchased the vinyl record, with unreleased material and other digital goodies, so a 3x3" download card was necessary. Neenah paper released a 100% recycled Environment Paper, which has a beautiful look and feel, and was used to create the bonus download cards inserted into the vinyl jackets. My record label and music publishing company also use this paper for letterhead and stationary. Piuma was mastered at Infrasonic Sound in Echo Park, California by Pete Lyman. The lacquer was then cut by Phillip Rodriguez. Infrasonic specializes in old school analog mastering techniques and works with their neighbor, Vintage King Audio, to acquire some of the most acclaimed vintage hardware in existence. Not only was I able to achieve the sound I was going for on the album, but Infrasonic was also supportive of the cause—and offset their power by making a donation to TreePeople—along with all the other manufacturers. The center labels were pressed at Dorado Record Packing in Burbank, CA. The labels need to withstand high heat, so it is not possible to use recycled paper; however General Manager, Mike Reccia, showed me how the plant recycles every bi-product and uses recycled paper wherever possible. 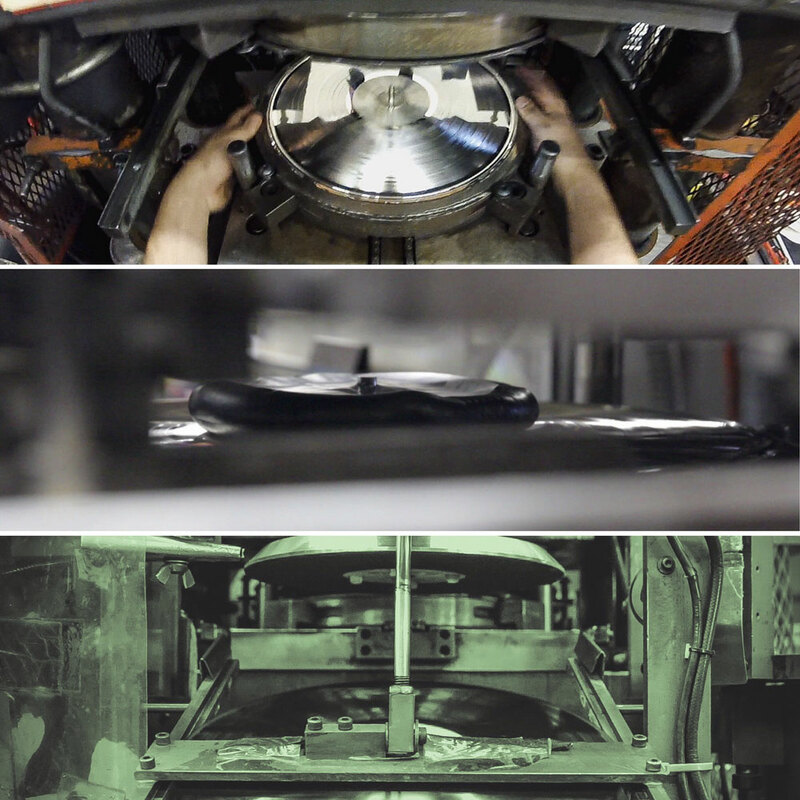 The records were then pressed at the renowned SoCal vinyl pressing plant, RTI in Camarillo, California, which uses 50% steam power and also recycles every bi-product possible. RTI has extremely high quality standards and is known as one of the top vinyl pressing plants in the world.3 Plant Manager, Rick Hashimoto, showed me how RTI developed a method of recycling the maximum amount of vinyl possible while maintaining their HiFi audiophile quality; since records are checked for perfection, ones that don't make the cut are ground up, and a special custom process is used to remove all dust before about 20% the vinyl is able to be recycled back in to the new records, with no loss in audio quality. I'm blown away by the stellar quality. 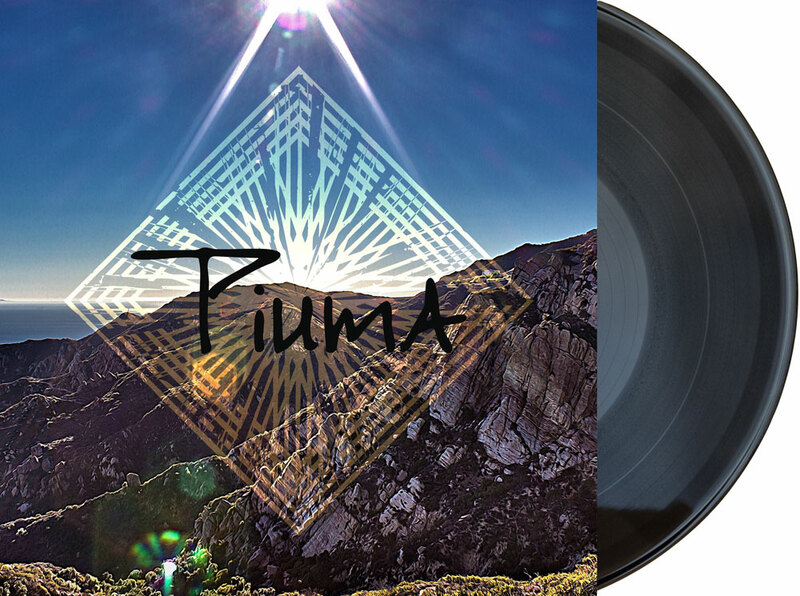 The 12" 45rpm of Piuma is how it is supposed to sound, with a fluffy sparkle in the highs and a punchy low end. While I was filming at RTI, Pink Floyd's The Wall, as well as a few Blue Note titles were on the other presses. One of the special characteristics about vinyl, is that it is a physical product that can live on for years, be passed down, and traded. Through the years, there can be wear and tear that damages the jacket cover art, which is why record collectors often purchase outer polybags to protect the jackets. As opposed to using shrink wrap, which would be discarded, I opted to pay more for reusable outer polybags, that RTI offers, so the record has the packaging necessary to be on the shelf at record stores, but also comes with its own outer polybag. I debated including a sticker on the outside, but not everything is best to print on the cover itself, so I was happy to see that Avery has a 100% recycled Kraft label, in a 2 1/2" circle, which was perfect to include on record store placements. The CD’s were also manufactured responsibly. After much research, I found that Groovehouse Records in Woodland Hills, CA not only presses CDs that sound better—and jackets that look better than their competitors, but they also offer CD jackets made from 100% recycled paper. Groovehouse also donated to plant a tree, offsetting their manufacturing power consumption. Shipping the record could cause additional greenhouse gases through transportation; however, I opted to use existing USPS delivery routes, with low cost shipping rates through their media mail service. So, the shipping cost is low for customers, and the nominal weight in the USPS trucks causes no negative impact. Additionally, digital sales can further drive down carbon since $1.00 from each album sale goes toward planting additional trees, and the Piuma website are powered by a green hosting company. Making an environmentally friendly vinyl record (or any product) can seem complicated, but I found that by taking a deeper look at each link of the creation chain, I was able to make an album that is very environmentally friendly, and also sounds and looks as good as I envisioned. There are some amazing vendors out there who have already made great strides in eco-friendly manufacturing techniques, and there is no need to sacrifice quality. By sourcing power from renewable energy, offsetting what you can't by donating to effective non-profit organizations that reduce carbon in concrete ways, and by sourcing materials from recycled or renewable sources wherever possible, environmentally friendly products can be created.